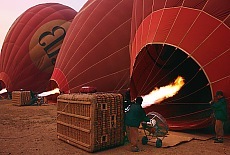 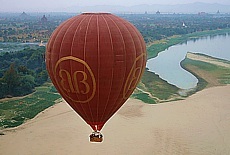 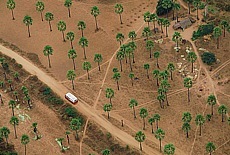 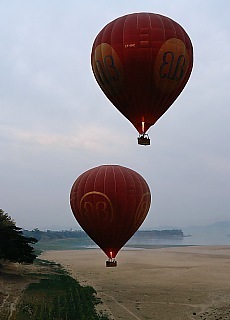 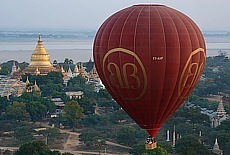 On my second Hot Air Ballooning over the temple city of Bagan in the following year the weather conditions wwere unfortunately very bad - but Balloons over Bagan takes no care and started anyway :o(( Due to the bad weather on this day it came to an unusual flight route. 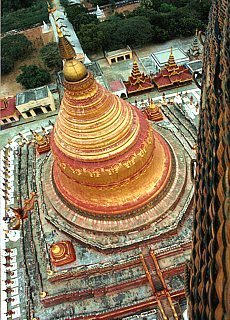 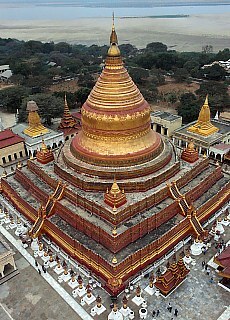 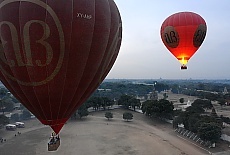 Our balloon was driving so close to the Golden Stupa of the Shwezigon Pagoda that we could almost grab the pagoda's top out of our balloon basket. 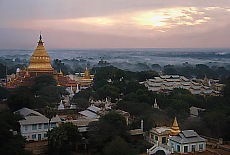 After flying over the golden Ananda temple the wind drives us out towards the giant sand banks of the Ayeyarwady river and we touched down on a sand bank.